Students congrats to final semister examinations under JNTUK and you have cleared the subjects along with all previous semester papers and have to obtained their PC&CMM either from their colleges and now looking to get JNTUK OD step by step application procedure.check JNTUK OD status online and complete guideline to JNTUK OD apply online and how to easily. final year successfully completed students are eligiible for the award of B.TECH OD by the university.So here we are with the detailed information fir the JNTUK OD application procedure online.students be carefully observed this instructions carefully and apply JNTUK OD as per the norms provided the university.Please note that you are eligible for the application of the award of degree only after receiving Provisional Certificate and Consolidated Marks Memo (PC & CMM), which you can obtain from your respective college 25-40 days after the announcement of the result and if you don’t have any backlog in the last or any other semester. 1.you are eligible for the online OD Application only after receiving the PC & CMM.2.As you need to upload the copies of PC & CMM along with other documents such as SSC Marks Memo and recent photograph.3.The you need to make a bank payment and on the very next day of making the required fee payment at the bank you can upload these documents and submit your application online.4.Once you have successfully made the required fee payment at the bank5.please make sure that you have uploaded the above mentioned documents within 15 working days.6.Else your application will be dropped.7.You can check your eligibility from the direct link provided below.8.Please select Original Degree from the tab and enter your Hall Ticket Number9.then your eligibility details and application fee details will be provided online.10.Follow the links below to check JNTUK Original Degree Eligibility Status Online.11.If you are eligible then only proceed to bank payment and further step by step JNTUK OD Application procedure given below. you have clearly mentioned eligibility, fee and all other details and also mentioned step by stepJNTU OD allpication procedure online on the official website. Follow the instructions and you may also JNTUK OD Apply Online just by following the instructions on this page. If you face any difficulty during the entire process of JNTU Kakinada OD Online Application, you may get in touch with us anytime just by leaving a comment below. We will get in touch with you and provide all requested information. Make sure, you have either cleared all your papers from 1st sem to final semester and if not, please check JNTUK 0.15% Marks Adjustment or JNTUK Grace Marks Rule and also please check your eligibility prior to the application. 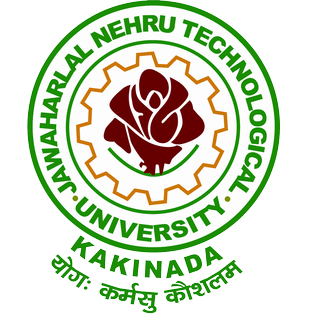 If you are eligible then you can certainly submit your JNTUK OD Application online and for more JNTU Kakinada news information, keep visiting JNTUK Fast Updates page on our website.